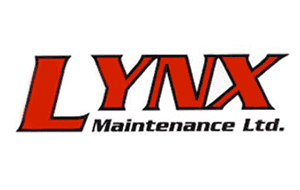 Leeds, UK, 11 August 2015 – Lynx are a specialist family-owned building, repair and maintenance company based in Uxbridge. They offer a fast response and first-class customer service to their ever-growing list of prestigious landlord and management clients, and maintain over 3,000 properties across the south of England.Lynx are a specialist family-owned building, repair and maintenance company based in Uxbridge. They offer a fast response and first-class customer service to their ever-growing list of prestigious landlord and management clients, and maintain over 3,000 properties across the south of England. Lynx decided that they needed a Big Change. They wanted one system that could manage all aspects of their business, and they wanted a fully-developed, proven product that wouldn’t cost them a fortune. The BigChange JobWatch system has everything – built-in service management, customer relationship management, job scheduling, resource time management, health and safety, equipment and stock management, mobile apps, financial features (from quotation to invoicing, with integration to accounting software such as Sage) and vehicle tracking. JobWatch features intuitive reporting, including reporting on customer service and quality, business productivity, driver behaviour and risk management.